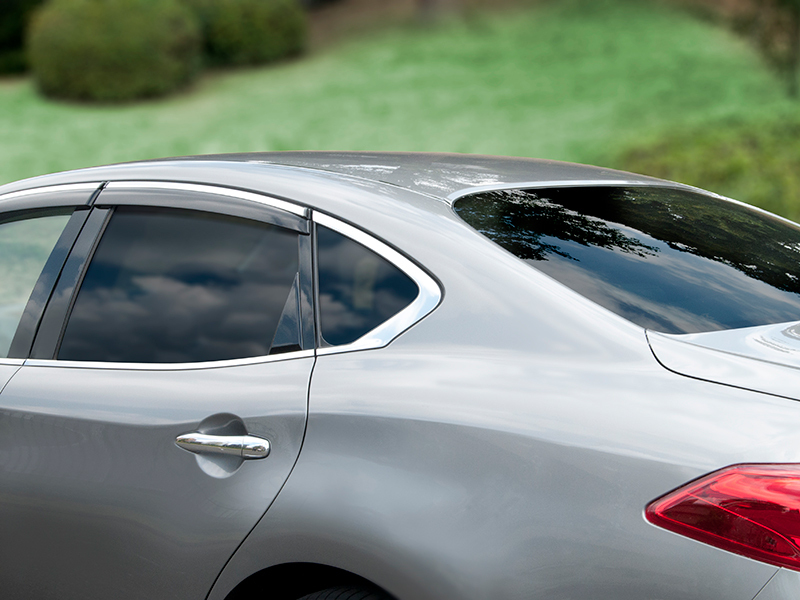 Improve comfort, privacy, appearance and energy efficiency with our range of automotive window films. A vehicle is a significant investment and our advanced films offer a variety of ways to protect and enhance it, while increasing driver and passenger safety and comfort. Engineered to combine functionality with enhanced aesthetics, these window films meet driver demands for more energy efficient, unobtrusive solutions. Solar control – block heat from summer sunlight, helping to reduce the temperature inside the car cabin. As well as increasing driver and passenger comfort, reducing solar radiation decreases the reliance on the vehicle’s cabin cooling or air conditioning system. This can help reduce fuel consumption. UV cut – block 99% or more of harmful UV rays without reducing visibility. These automotive films help reduce passenger and driver exposure, minimising the risk of skin damage and also protect interior upholstery against fading or cracking. Shatterproof – improve safety and security with the superior shatterproof properties of these films. The films provide added protection against attempts to break the vehicle windows and in the event of the glass fracturing, reduce the scattering of glass shards. Privacy/Enhancement – restrict viewing from the outside to give the vehicle’s occupant more privacy without significantly impacting visibility from within. Available in a choice of colours, including metallic-effect finishes.